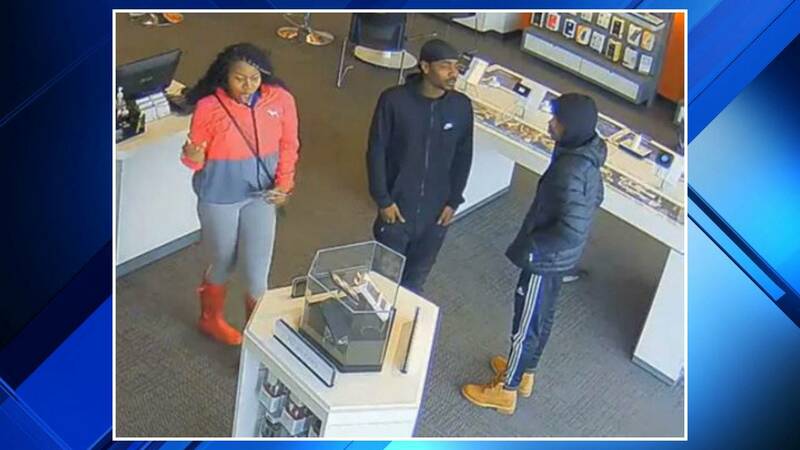 3 accused in scheme to distract AT&T employees, steal iPhone from display counter in Bloomfield Twp. BLOOMFIELD TOWNSHIP, Mich. - Two men and a woman are accused in a scheme to distract AT&T employees and steal an iPhone from a Bloomfield Township store. Police said the incident happened at 12:05 p.m. Feb. 4 at the AT&T store at 2510 Telegraph Road. The store manager said the three people in the photo above walked into the store, distracted employees and stole an iPhone 8 from the display counter. The phone is valued at $600, police said.